Hanging Flower Basket on Stan for Merriment Fairy Gardening. 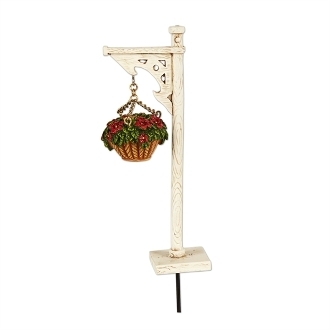 Full Description: Perfect for adding an element of height to any mini garden, this beautiful hanging basket is overflowing with flowers! Features all-weather paint. Made of resin with metal pick.